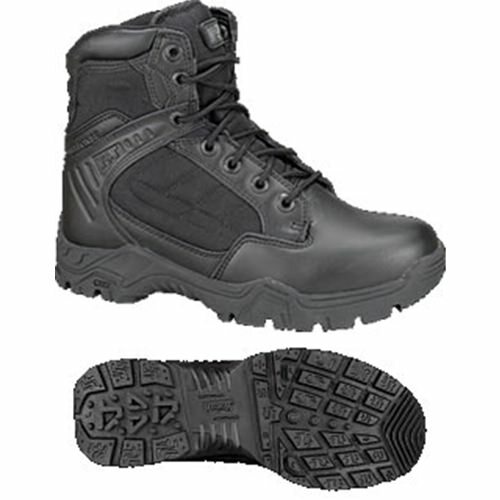 A Lightweight Action Leather and Fabric Boot designed for military, service, and emergency personnel. Features include Suede Collar, Super Action Leather Upper, 900 Denier Nylon Upper,Steel Shank Suede Collar, Moisture Wicking Liner, Slip-Resistant Outsole, and Comfort Contoured Removable Sockliner. REGULAR D WIDTH ONLY.